If there is ever one dish that makes me look forward to winter, this is it. Oh god how I love this soup. I crave this soup. It’s so easy as well, lazy in fact – it's just another throw-in-the-pot kinda dish. I've been eating this as long as I can remember. 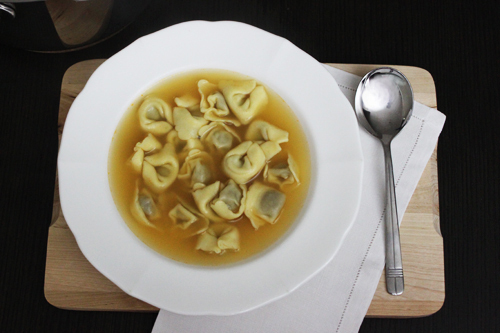 Brodo is my comfort food, and adding tortellini just brings it to another level. It makes it a whole meal. I made this last night (as well as last Sunday night) – I tend to make it every fortnight throughout winter. 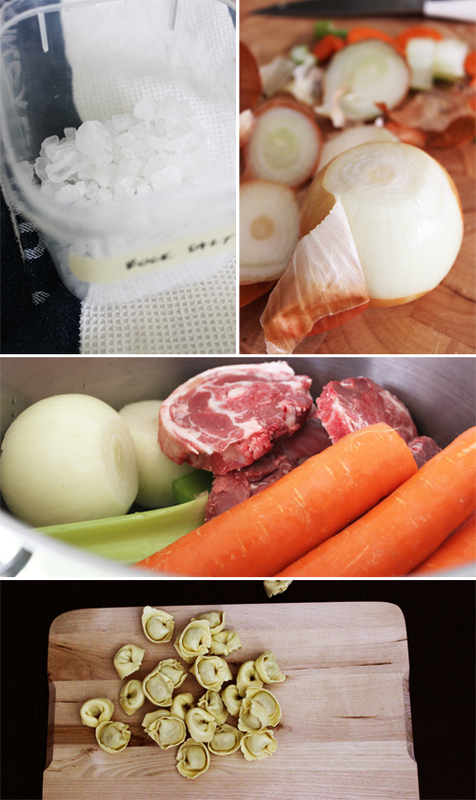 You'll be surprised how tasty it is just using lamb necks and a few veges. I sometimes throw in a lamb shank as well, and then put the meat back into the broth with the tortellini. Wash and cut the ends off the carrot and celery, and peel the onion. Add to a large heavy based pot, along with the lamb necks, ½ tin of tomatoes and some rock salt. Fill the pot up with water so all the ingredients are covered, and bring to the boil. When boiling, reduced to a simmer and continue cooking covered for 3 hours. The longer you leave it, the more intense the flavour. When the broth is full of flavour, turn the heat off and let it sit to slightly cool. Remove the lamb neck and vegetables, and strain the broth through a fine sieve and / or muslin. I like to use a muslin cloth as it gives you a lovely clear golden broth. 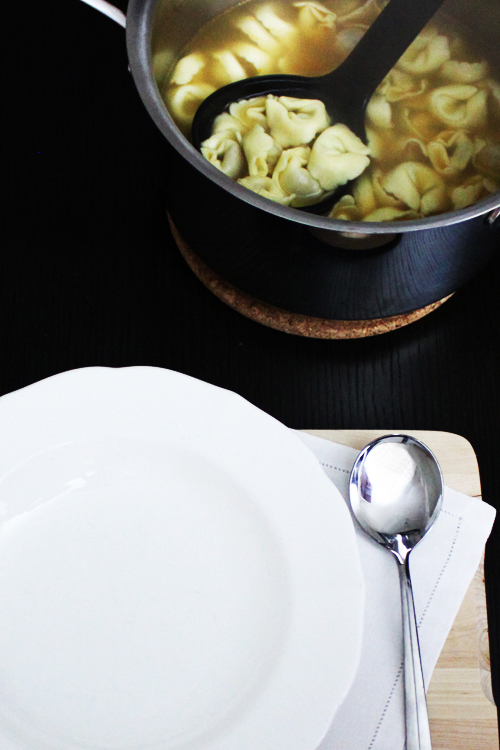 Bring the broth back up to the boil and add the tortellini. Cook for 5 minutes or until the pasta is al dente.